Come to the fifth annual Christmas Zine & Maker Fair! 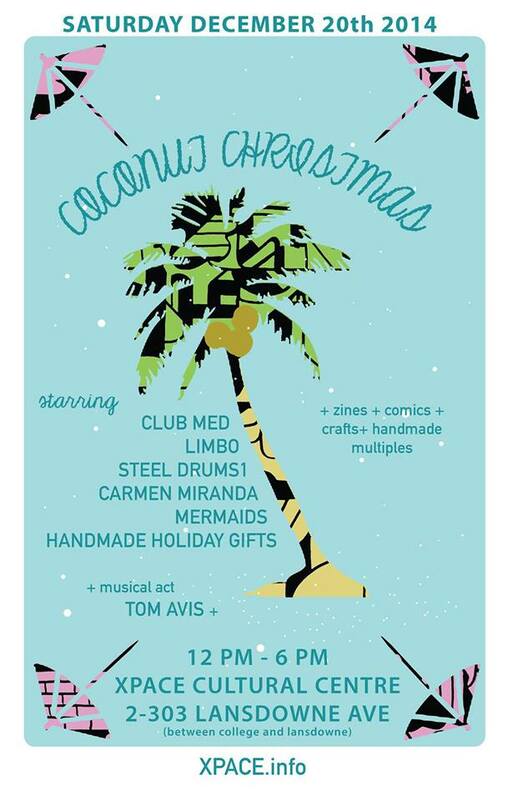 Held at Xpace Cultural Centre on SATURDAY, DECEMBER 20th, from 12-6 pm, this year’s theme is CHRISTMAS COCONUTS + CLUB MED. We will be selling zines, comics, small press, prints, t-shirts, tote bags, jewelry, crafts and other handmade multiples! Admission is free, sunscreen served for all!